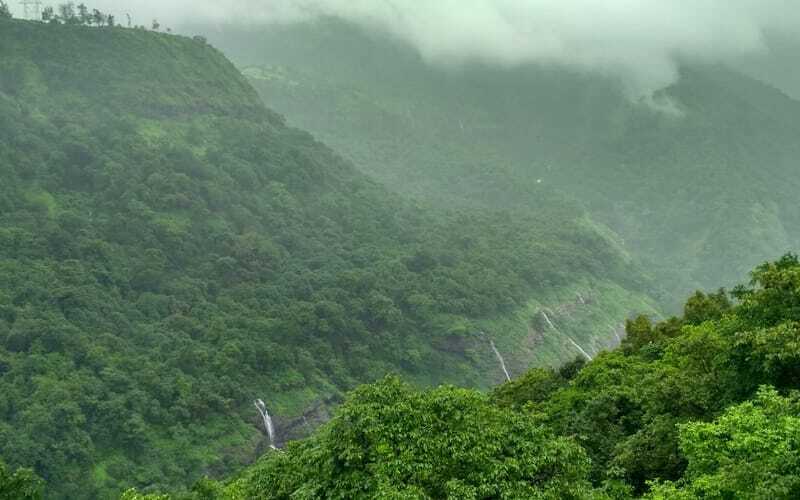 The hill station of Lonavala at Sahyadri Range is one of the best-known places in India for adventurous activities like trekking, camping, and hiking that can be done any time of the year (except monsoon). Located at an elevation of over 2,000 ft, the place has a twin hill station known as Khandala which also offers similar activities. 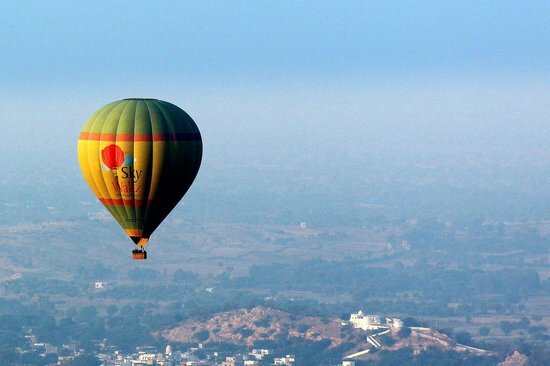 A hot air balloon ride gives you a topographic view of the entire lush greenery of Lonavala, the valleys and the surrounding mountain ranges. The service is provided, and supervised by Sky Waltz Balloon Safari allied with Hotel Orritel of Talegaon, with the latter being the meeting and pick up point for the ride. The balloon safari is mostly scheduled at dawn and couples can enjoy a romantic sunrise. Located at the Mumbai-Pune Highway, the hotel is easily accessible from both Mumbai and Pune by taxi and private cars. The booking has to be made online, with the charge being Rs. 12,000 per head. In case of cancellation, sooner the better as far as refunding is concerned. Depending on the weather, the company can reschedule the ride for some other viable slot. Physically unfit and pregnant women cannot board the balloon, neither anyone who is under the effect of alcohol. At a distance of 33 km from Lonavala, this is an artificial lake in the vicinity of Pawana Dam. Picnicking, camping, and paragliding are the main activities here. 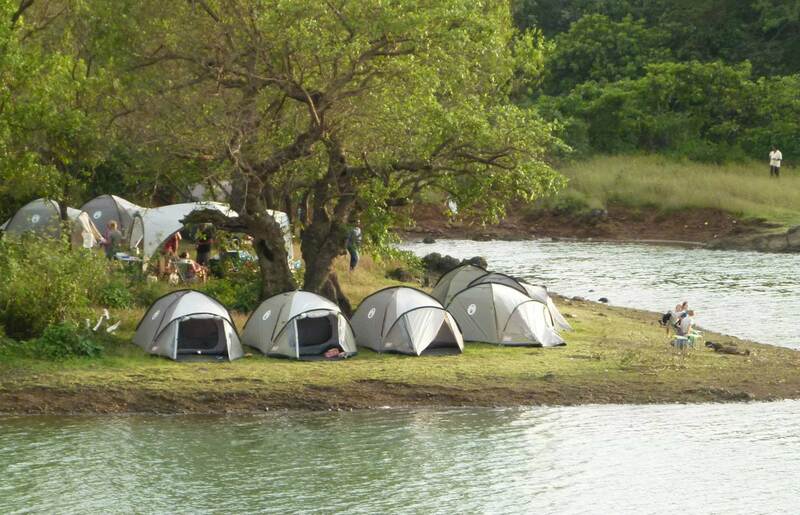 You need to rent the camp from any of the multiple authorities in charge of the campsite area. 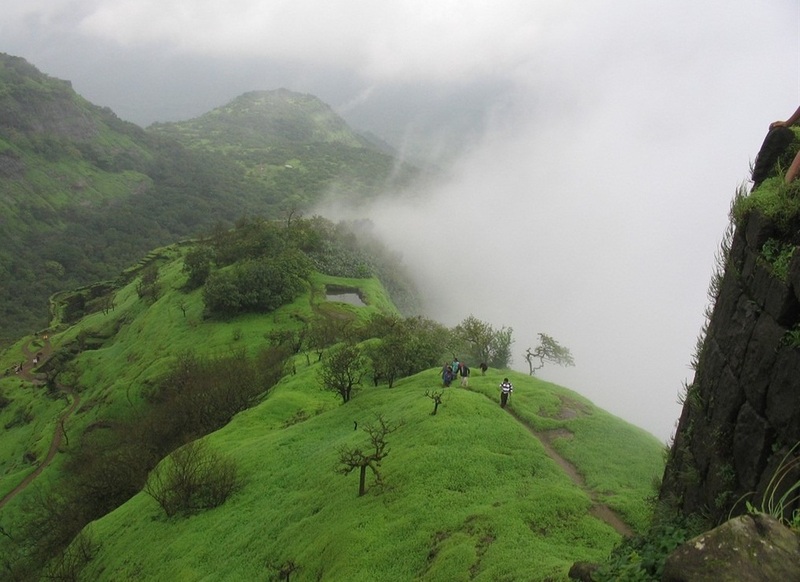 The nearby forts of Tikona, Lohagad, and Tungi are good destinations to trek to after an overnight camping. From Mumbai or Pune, the best option is to hire a car if you don’t have your own. Pune is nearer than Mumbai to Pawna and takes almost 1 hour 45 minutes if you come via the Old Mumbai-Pune Highway. While coming from Mumbai, via Bengaluru-Mumbai Highway, the overall journey takes around 2 hours 30 minutes. The lake is around 20 km from Lonavala station, so it is better to take a cab if you are coming by train. Booking facilities can be done online and the charge depends on the location of your campsite and the type of meal included (vegetarian and non-vegetarian). The range starts from Rs 1,200 and can be as much as Rs. 2,500 per head. If you want they can arrange a bonfire and a barbecue party.There are also tennis courts, archery fields, dart boards, and football grounds near the site. Although they provide blankets, it is better to carry an extra one for yourself as it can become quite chilly during winter. Toilet facilities might not be good and sufficient, especially when the site is crowded (between October and June). Just 18 km away from Lonavala, Kamshet, is a hub for three types of paragliding, namely, Classic Tandem (8-10 minutes long flight), Instructional Tandem (10-15 minutes of flight), and Acro Tandem (15-20 minutes of flight). Karanjgaon and Kusgaon hills are the common sites from where the paragliding starts. All the authorities/institutions have tie-ups with specific hotels that will act as your pickup points for the activity. The distance of Kamshet from Mumbai and Pune is 110 km and 45 km respectively. Though hired cars are the best mode of transportation, there are private and state transport bus services available from both cities. If coming by train from Mumbai then get off at Lonavala station (3 hours journey) and take another train to Kamshet. From Pune, there are direct trains to Kamshet that take much less time. 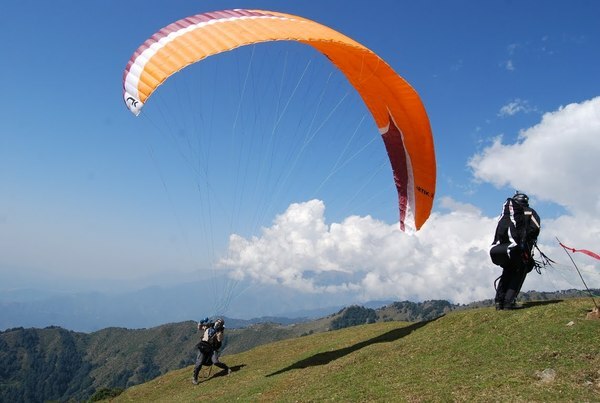 Depending on what kind of paragliding you are choosing the price will range from Rs 2,500- Rs 4,500 per head. An additional charge of Rs 1,000-1,500 is applicable for photography or movie-making with high-definition cameras. T-shirt, full-pants, and closed-toe shoes are a must. Any major health condition should be mentioned beforehand as this is up to the approval of the authority. Overlooking the Tunga Fort and Pawna Lake, the Sausage Hills is a view-point, also serving as a spot for hiking and trekking. The surrounding forest is home to exotic birds so, watching some on your way can be an added attraction. The hills are just 3.9 km away from Lonavala. Private or rented cars can bring you here, while regular bus service is also there from Mumbai and Pune. These hills are quite average when it comes to trekking, so if you have less time, or some other place you want to visit, then you may as well skip the Sausage Hills. Located between the twin hill stations of Lonavala and Khandala, the original name of the cliff was ‘Nagphani’. It was later renamed during the British Rule of India as the Duke’s Nose due to its resemblance to the nose of the then Prime Minister of England, Duke Wellington. The zip-lining activities provided here are supervised by various institutions where you have to contact beforehand. From Khandala, take a cab or auto to reach the base of the hill. 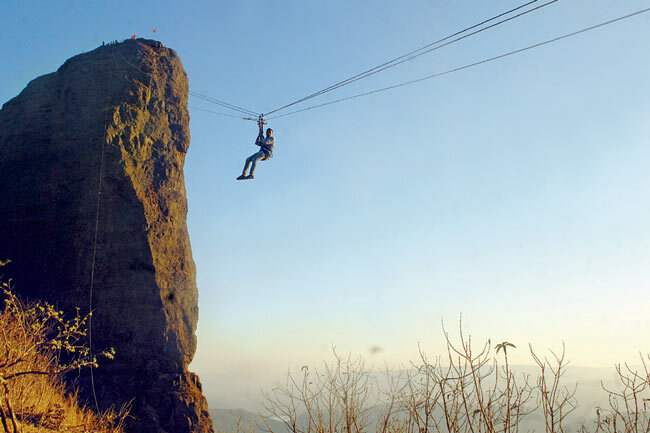 Your zip-lining package may include pick up and drop off from Mumbai or Pune. The average cost for zip lining ranges between Rs.1,300 and Rs.1,500 per head. You may also try rappelling, though it may be a bit costlier than zip lining. Combined packages are also available. The beauty of Lonavala has boosted tourism in Maharashtra to a great extent with some beautiful sites in and around. Apart from the adventure sports, tourists visiting with their families can also indulge in picnicking in any of the picturesque spots.